Win a Copy of Discovering Ren! And if you win, be sure to leave a review! Of course, I'd love you to leave a review in any case. Good luck! Giveaway ends April 22, 2013. 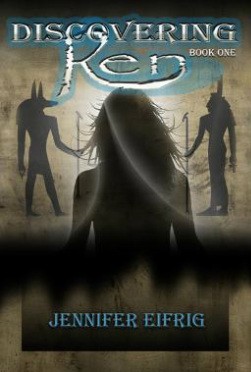 Thanks very much to Forrest Schultz, who reviewed Discovering Ren on his blog for The Lost Genre Guild! Glad you liked the novel, Forrest. "...there is a level of sophistication even in the magical clashes in these battles that is rarely equalled in fantasy. And here and there in the story are found thought-provoking discussions of spiritual and theological matters." Recently I had the pleasure of getting away from it all. (Well, away from almost all - I brought along my other half to keep things interesting.) Last month I went to When Words Count Writer's Retreat with the goal of finishing the sequel. At that point, I had 110,000 words written and I figured I was within 5,000 of typing "The End" on the first draft. Oh, sure, I knew I had weeks (months) of editing ahead of me, but I just wanted to get the darn thing done. Finite. So I packed up my laptop, farmed out the kids, and dragged my so-supportive spouse up to Vermont for good food, skiing, conversation, and wine in front of the fire. And of course, the best laid plans mean something unexpected will happen. In this case, it was a conversation with the founders of the retreat about the storyline I had in mind for the ending. Short version? It just didn't work. Too complicated, too diffusive of tension, too many characters in the climatic scenes. I'm a writer that listens to criticism, even if it makes my skin crawl to hear it, because the only time it ever bothers me is if it's got some basis in reality. I mean, I asked for their opinion on how to strengthen the ending, so I could hardly be surprised when they offered suggestions. So, it was time to murder my children. Or, it was time to surgically remove the benign but rather unattractive growth that had appeared on my lovely sequel (it really is pretty good, by the way). Out came ten chapters and 30,000 words. It hurt, but I never hesitated. I already knew it was the right thing to do. I'd done it before. I could fill entire novellas just with my edits. The only thing bothering me now is that I've just added a good six months if I'm lucky to my timeline. I haven't even had the launch party for Discovering Ren, but already I'm looking ahead to having the sequel out by the end of this year. Publish or perish, that's how it goes. The end was in sight, but now it's somewhere around a bunch of bends. Am I sad? A little, I suppose, but mostly I'm back where I was before the retreat. I want to finish this thing. And I am relieved that when it is done, it will be a far better, more satisfying book than it would have been otherwise.